UNITED NATIONS, September 6 -- As Uzbekistan celebrated its 20th anniversary of independence on a rainy Tuesday night in New York, the talk was of the fight for oil in Libya, and Palestine's possible moves at the UN later this month. "American oil companies were and will be big in Libya," one Security Council diplomat told Inner City Press between bites of Central Asian plov. "Of course Sarkozy is interested. But there's no way France is getting anywhere near 35% of Libyan oil." Also regarding France, major troop contributing countries marveled at Herve Ladsous taking the post UN Peacekeeping post over Jerome Bonnafont. 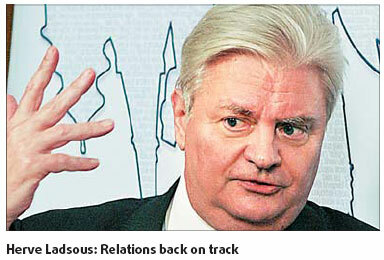 "Ladsous was the chief of staff," one troop contributor put it, "he could step in at any time and did." Of the French Mission to the UN not knowing it was Ladsous and not Bonnafont he said, "Ban Ki-moon told the important people, in Paris." Around the bar in the Czech Bohemian National Hall on Manhattan's 73rd Street, diplomats marveled at how the Obama administration is trying to put pressure on the Palestinians to "stand down" at the UN in September, certain not to ask for UN membership in the Security Council. "A Quartet statement won't be enough," a well placed Ambassador put it. 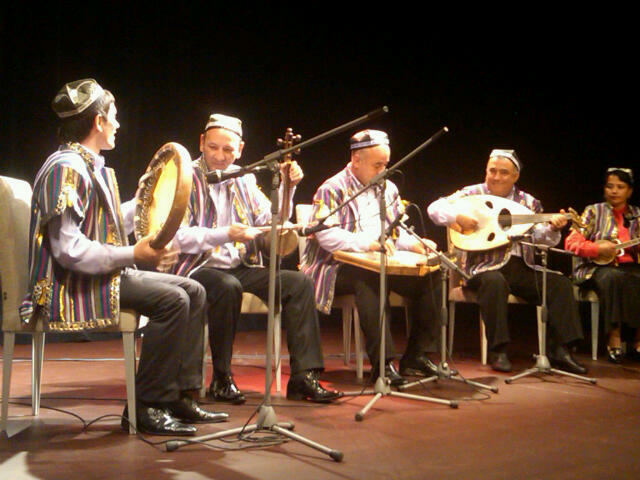 Present to hear the single speech by the Uzbek Permanent Representative, and music from an Uzbek classical group flown in from Tashkent for the occasion were the Permanent Representatives of not only Central Asian states but also, among others, Bosnia, South Africa, Turkey, Afghanistan, Pakistan, Japan, , the Democratci People's Republic of Korea a/k/a North Korea, Sri Lanka, Bangladesh, Nigeria, Syria, Costa Rica, Cuba and many others, including Deputy Secretary General Asha Rose Migiro. Uzbek Permanent Representative Murad Askarov greeted the guests as they came in, and then gave a short speech saying his hoped that in the next twenty years, Uzbekistan will have its own building twice his size. He spoke of peace with neighbhors; in the background are water fights with Tajikistan, and upcoming elections in Kyrgyzstan that may exclude the ethnic Uzbeks. The Permanent Representative of Kazakhstan, quite respectfully, noted that her country will celebrate its 20th anniversary of independence in December. She noted that her president will be coming to the General Debate, one of eight heads of state invited by Ban Ki-moon to speak about nuclear safety. And Obama, she said, has written to her head of state about an upcoming summit on the same topic. "We had missiles that could have hit the United States," she said, "and we were the only Islamic country to have them. You can imagine the pressure. But we gave them up." And so the UN's high season begins, with Permanent Representatives getting ready to greet their ministers and heads of state. Watch this site.